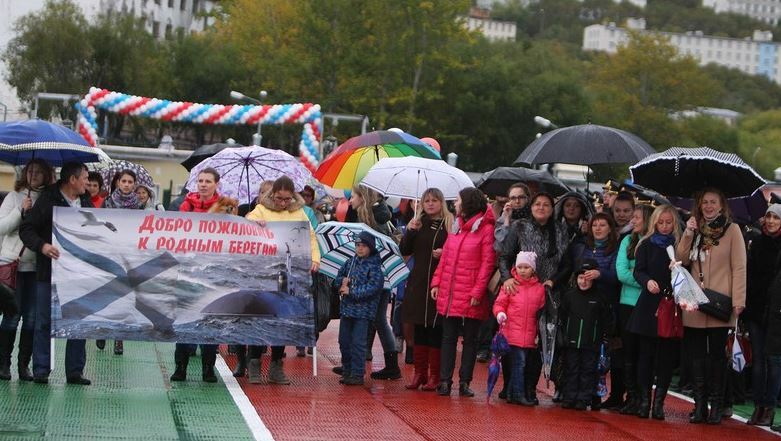 The Pacific Fleet’s website provided lots of good photos of the occasion. 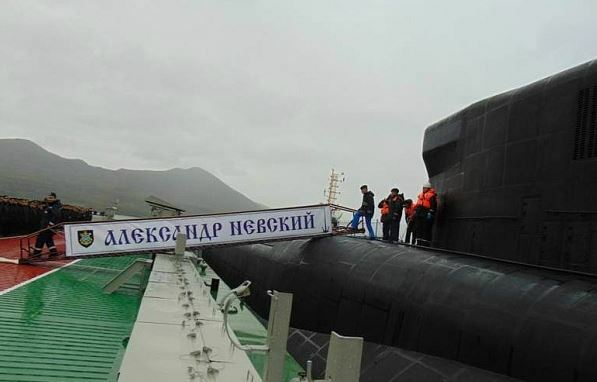 NG published this MOD photo of Aleksandr Nevskiy at its new pier. 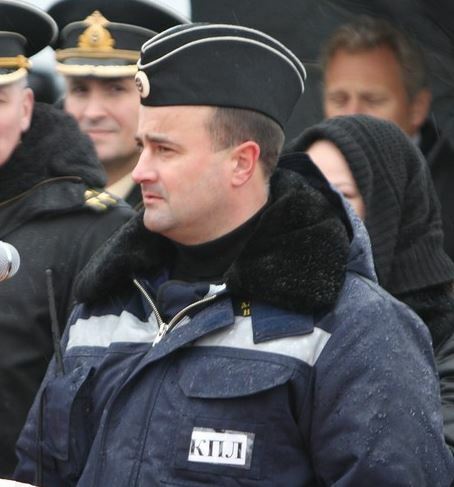 Behind Navy CINC Admiral Viktor Chirkov, Pacific Fleet commander Admiral Sergey Avakyants also salutes. 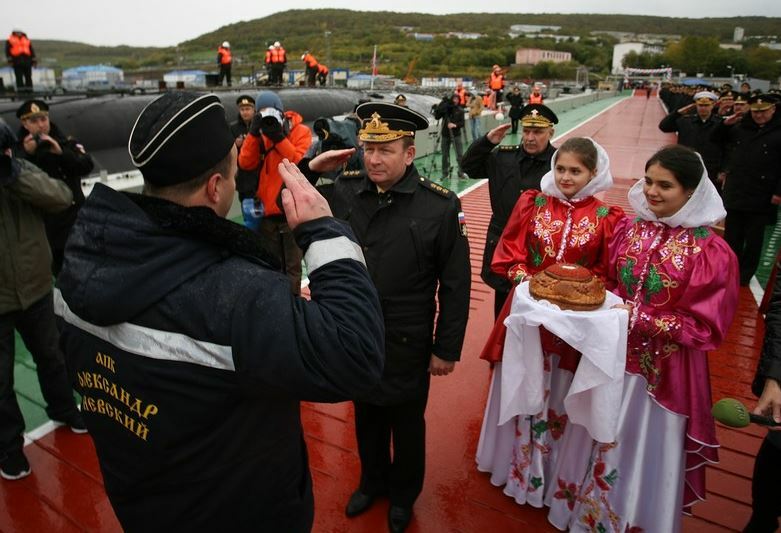 In remarks to assembled officials, Navy personnel, and families published on Mil.ru, Chirkov said the Pacific Fleet’s submarine force is in a “renewal phase.” Demands on the training of submariners are greater now that 4th generation boats are entering the fleet. Admiral Chirkov added that the design of 5th generation submarines has begun within the framework of the 2050 Shipbuilding Program. These future boats will be stealthy, and have improved C3, automated reconnaissance and “collision avoidance” systems, and better weapons, according to him. 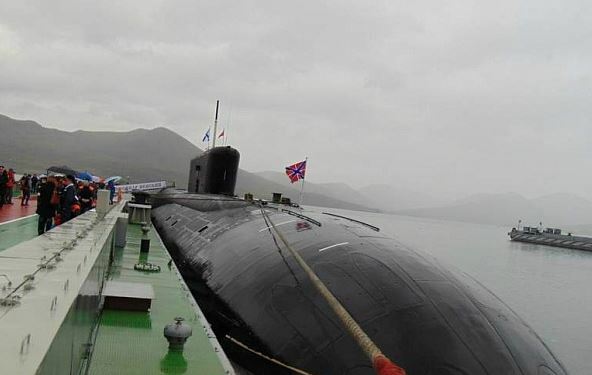 “The intensity of combat service of [Russian] strategic and multipurpose nuclear-powered submarines on the world’s oceans will be maintained at a level that guarantees our country’s security,” according to the Navy CINC. Of course, Chirkov didn’t note that — with Russia’s array of land-based ICBMs and position in Eurasia’s heartland — that intensity, that level of submarine operations may not need to be too great. A happy scene familiar to every sailor.